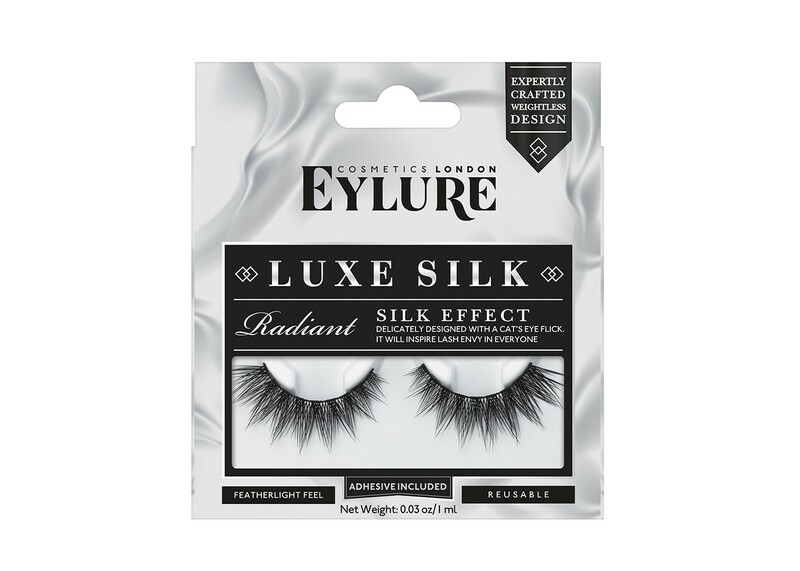 Eylure Luxe Faux Mink Baroque Lashes are a silky- soft mink style false lash with a delicate kick-out at the corners. These beautifully hand crafted multi-dimensional lashes have naturally criss-crossed tightly bundled base that adds volume and length for effortless fullness. Eylure's lash band is pre-treated and made of soft flexible material allowing the lashes conform perfectly to every eye shape. Baroque Faux Mink lashes blend seamlessly into your natural lashes for an enhanced lash look you'll love! Each package contains 1 pair of lashes. Application and care instructions enclosed. Eylure Luxe Faux Mink Gilded Lashes are a glossy and super soft lash style that creates a generous, structured lash look. Gilded lash has varied lengths lashes across to provide a natural yet lush appearance making these lashes easy to transition from day to night! These beautifully hand crafted multi-dimensional lashes adds full volume, density and length for full on glam effect. Eylure's lash band is pre-treated and made of soft flexible material allowing the lashes conform perfectly to every eye shape. Gilded Faux Mink lashes blend seamlessly into your natural lashes for a look you will love! 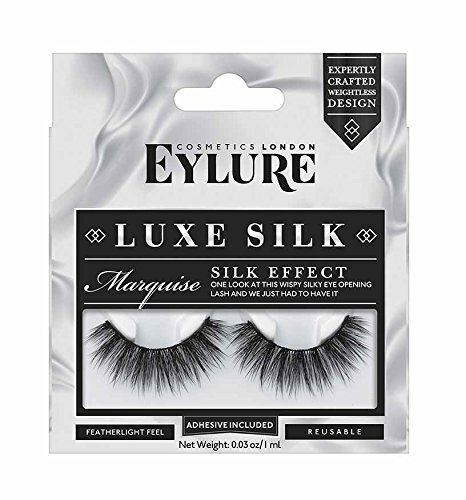 Eylure Luxe Faux Mink Opulent Lashes are a pretty and delicate style with gorgeous length. Naturally crisscrossed for a beautiful finish. These beautifully hand crafted multi-dimensional lashes adds full volume and length for effortless fullness. Eylure's lash band is pre-treated and made of soft flexible material allowing the lashes conform perfectly to every eye shape. Opulent Faux Mink lashes blend seamlessly into your natural lashes for a look you will love! Eyelure Luxe Silk Marquise Lashes with silk effect. One look at this wispy, silky, eye-opening lash and we just had to have it! A range of styles made of premium synthetic fibres and crafted into styles so intricate and pretty that they are practically works of art! Eylure Luxe Silk Radiant Lashes are delicately designed with a cat's eye flick, this criss cross beauty will inspire lash envy in everyone! A range of styles made of premium synthetic fibres and crafted into styles so intricate and pretty that they are practically works of art!